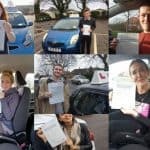 You can purchase gift vouchers from us to give to a friend or relative for a driving lesson or lessons in and around Bournemouth & surrounding areas! They are an ideal birthday, Christmas, anniversary or wedding present! 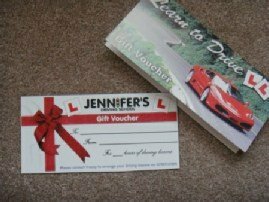 I can give you a gift voucher for any amount, from a one hour lesson to a course of lessons. They have a four month redemption limit and must be bought along when tuition commences. 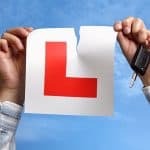 It cannot be exchanged without permission, and lessons are subject to availability and areas covered. 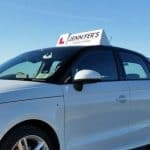 Gift vouchers can be purchased for driving lessons in Bournemouth, Poole, Christchurch and surrounding areas! Please contact me to arrange. Please contact me using the contact form below to purchase.